Oh yeah, they have robots. 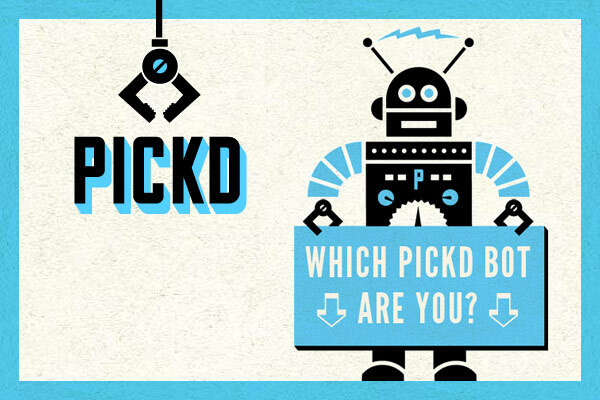 Which Pickd Bot are you? We make digital tools that will change the way you find products, shop for products and buy products. And they do it with robots. Lots of robots. We helped the PICKD team develop a retro cool brand for their grand entrance onto the web, and we’ve had a blast helping them develop a placeholder page full of attitude. Keep on the look out for exciting things planned from this team of up-and-comers.